SomecallmeJohnny is one of the most well known video game reviewer and let's player on YouTube. However, despite his popularity, a few videos have been removed (or accidentally deleted, in the case of the final part of the Let's Play NES Super Mario Bros. finale), and have not been seen since their deletion. 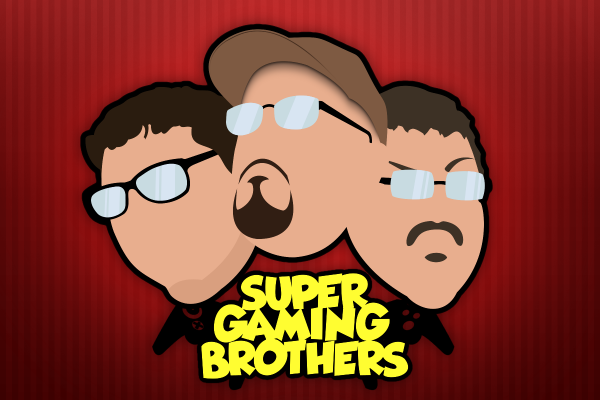 In 2010, Johnny started making "Let's Play" (abbreviated LP) videos on his second YouTube channel, "The Super Gaming Bros" (formerly known as SGBlikestoplay). Three of his earliest "Let's Play" videos were of the Nintendo GameCube game Sonic Adventure 2: Battle, the Game Boy Advance game Metroid Fusion and the Super Nintendo game Super Metroid. The only things known about the original Sonic Adventure 2 "Let's Play" is that Johnny's stepbrother, Elliot Cancel, played through the game, and that Johnny's best friend, Matt (mentioned in part 7 of their 2013 "Let's Play" of the game) remembers Johnny's editing when Elliot played through the level "Mad Space". The Super Metroid "Let's Play" was hinted to have been redone (as mentioned in the channel description) in 2010. However, the actual redo didn't take place until December 2014. Not much else is currently known about the Super Metroid or Metroid Fusion "Let's Play" videos, although it's fair to assume that Johnny and Elliot's commentary would have been the same style as their other previous "Let's Play" videos. All three "Let's Play" videos were deleted, with Johnny promising higher-quality "Let's Play" videos in the future. No footage or any archives of the original three videos are known to exist on the internet. While these videos are now lost (as requested by Johnny), many of this fans regard the deletions as "shameful". One reason for the outrage is that most of his current fanbase were not subscribed to him when the original videos were uploaded, and therefore, unable to view these videos. Currently, all that exists of these videos is an archive of the video's playlists on the Wayback Machine.
" Back in November of 2008, I originally did a few quick Sonic reviews showcasing all of Sonic's 3D titles. I ended up deleting those videos because I always wanted to give the games full-out reviews and my opinions since then have changed dramatically. It's now time to make those full reviews." One of the only known frames of the lost video, taken from the intro of his video, "SGB Review - Contra 1 - 4"
In some of Johnny's older videos such as "SGB Review - Mortal Kombat 1 & 2", and "SGB Review - Contra 1 - 4", an intro featuring stock footage from some of his videos were used. 18 seconds into the introduction, a two-second clip of a recording of Sonic the Hedgehog (2006) can be seen. This is most likely from one of the three lost videos because judging by the "VIZIO" logo at the bottom, this footage was not captured through a capture card. Rather, it was recorded directly in front of the TV, just like in those reviews. Johnny would later make a separate review of Sonic the Hedgehog (2006), which was captured on a capture card. Thus, the aforementioned two-second clip in the intro is the only surviving footage from these three "SGB Look Back" videos. Nothing else from these videos exists today. SomecallmeJohnny was nowhere near as popular in 2008 than he is now, meaning that chances of somebody having archived these videos are highly unlikely. Ironically, two other "Somecallmejohnny" videos from the early days (his original reviews of Big Rigs: Over the Road Racing and Sonic the Hedgehog (2006)) were archived and uploaded to YouTube. Still, "SGB Look Back: 3D Sonic Games" remains to be rediscovered, and is likely to be lost forever. In the process of deleting the "Let's Play" videos of Sonic Adventure 2: Battle, Metroid Fusion and Super Metroid, the finale of the Super Gaming Bros' "Let's Play" of the NES game Super Mario Bros was accidentally deleted. Due to guilt stemming from the accidental deletion, Johnny remade the "Let's Play" of Super Mario Bros. from the Super Nintendo game Super Mario All-Stars. However, as of 2015, nothing of this video has been found or archived, Johnny stated he no longer has the file so he can't re-upload the video. Because of this, most people believe this video is lost forever. The extent of the video would only have been a playthrough of "World 8-4" along with Johnny and Elliot's final thoughts because of that fact part 4 ended with finishing "World 8-3". Johnny talks about the deleted SGB Look Back videos. Johnny talks about the first Sonic Adventure 2 LP. Johnny talks about the final part of their SMB LP.